Peter Lowry (Babel-on-the-Bay) posts that some sort of donnybrook that pits Liberal caucus petro-pols against their fellow environnmental backers is underway. To me it seems like they're debating whether to continue their pursuit of perpetual exponential growth by any means possible (i.e. bitumen) or do we do our bit not to destroy the planet. At this point with this government and its Tory rivals it would be enough for me if they just came clean and said, "Ah, screw the planet, let's make some money. The grandkids will just have to figure out something - or not." We've had the warnings. Two years to staunch the loss of biodiversity or we're toast. 12 years to cut our greenhouse gas emissions by nearly half or we're toast. And that's just two of the existential threats we're facing. 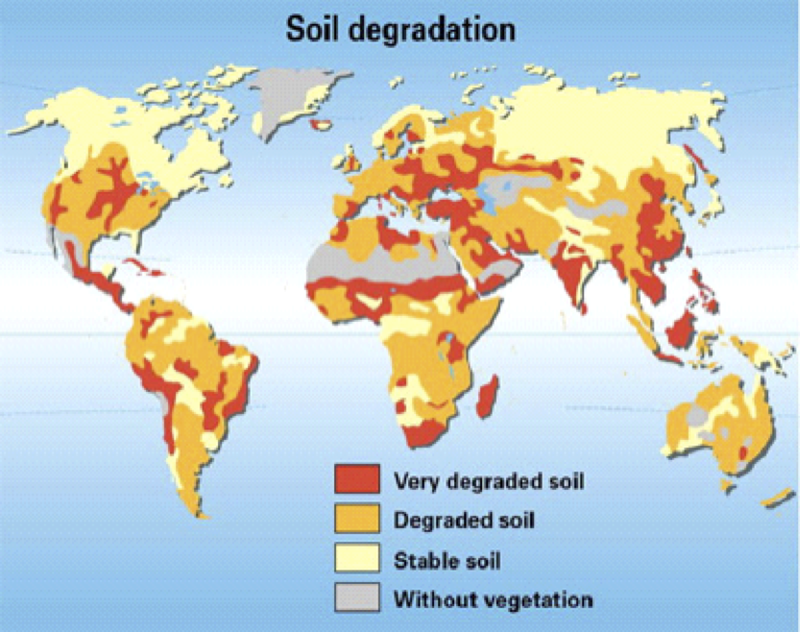 It pays no heed to the rapid and severe degradation of the planet's arable land, the dirt in which we grow humankind's food. As the UN Food and Agriculture Organization (FAO) reported four years ago, we have less than sixty years of food production left before those essential farmlands are exhausted. No mention of that other kicker from greenhouse gas buildups, ocean acidification, that's well underway and which is believed to have triggered four of the past five mass extinction events. It's said we're in the early stages of the sixth extinction - and we're debating a massive expansion of one of the very worst fossil fuels. Even for a Liberal mind that's amazing. I've got a buddy from Toronto, a highly successful financial sector type who even has his own charitable institute. He does plenty of good works but, like so many I've met from central Canada, he's oblivious to these environmental threats. His attitude is "they'll think of something." Yes, buddy, they already have. That's why we're in this mess. He's not some outlier either. There's a lot of that same thinking inside the ranks of both major political parties. What about the good news on the horizon. What good news? In September, OPEC forecast a massive increase in demand for fossil fuels, including coal, to 2040 at least. The International Energy Agency sees much the same future for fossil energy. Here's another little gem, overpopulation. We're expecting to reach 9.8 billion by 2050. We're just over 7.5 billion now. To get to 7.5 we've had to destroy so much wilderness habitat that, since 1970, total numbers of other animal species have plummeted by half. To top it off, we've been tearing the guts out of our farmland as this chart from four years ago shows. So here's the latest. New research finds that, if we keep this party going, by 2050 humans will be larger, heavier and eat a lot more. Professor Daniel B. Müller and colleagues Felipe Vásquez and Vita analysed changes in the populations of 186 countries between 1975 and 2014. "We studied the effects of two phenomena. One is that people on average have become taller and heavier. The second is that the average population is getting older," said Vita. An average adult in 2014 was 14 percent heavier, about 1.3 percent taller, 6.2 percent older, and needed 6.1 percent more energy than in 1975. Researchers expect this trend to continue for most countries. So it's not just that we'll have to squeeze more asses into the lifeboat, those asses are also getting bigger. Yippee. For all the challenges that will face the world, including Canada, over the balance of this century, the pursuit of perpetual, exponential growth is akin to a lung cancer patient choosing to go from a two pack a day habit to three packs a day. You would think that person crazy. Why do you think better of your political leadership? ...Despite all this data, all the science, we have a "business as usual" government that pays it not the slightest heed. Our planet is already grossly overstressed yet our government believes a rosy future awaits us in the pursuit of perpetual exponential growth. Does that strike you as sane? Do you think they're crazy, out of their minds? Or do you think there's something far worse in play? One of the most elusive statistics to hunt down is per capita GDP growth. It is a measure of output but it also reflects energy and resources consumed, production of goods, services and waste. Record keeping in Britain has allowed per capita GDP to be charted from today back to 1270. The results are impressive. Per capita GDP first reached 2,000 pounds (adjusted to 2013 sterling) in 1832. By 1900 the Industrial Revolution had swelled that to 4,800 pounds per capita. The 12,000 pound mark fell in 1970. That doubled again to 24,000 pounds per capita GDP in the year 2000, increasing to 28,000 just before the crash of 2008. To make sense of this, the average Briton's production increased from 4,800 pounds in 1900 to close out that century at 24,000 pounds per capital GDP. In the course of one century, the 20th, that's a five fold increase in per capita GDP. In 1900 the global population stood at 1.6 billion. We closed out that century at just over 6 billion and now stand at 7.5 billion. Taking total per capita GDP in 1900 and total population in 1900 we have now grown humanity's ecological footprint by something in the order of 30 to 40 times. And we're still trapped in perpetual, exponential growth. It's still going on. We can't stop it. We won't stop it. It is not hard to make the case that government policy, including our pursuit of endless growth propelled by bitumen exports, is ultimately nihilistic. This is not how you build a nation. This is not how you build a future. This is, however, an effective way to destroy a nation and its people's future. They won't admit it but that's exactly what they'll be debating in the Liberal caucus. .. you've nailed most if not all the critical points, Mound. Its one hell of a frightening post. If we look at the pathway Donald Trump has embarked upon, its a full tilt insane ambition to exceed everything you mention - aside from immigration perhaps. And I guess you left out WAR as an economic driver of Canada's Economy.. or arms manufacture and export. I don't see how 'we' can allow or accept political parties to dictate such a fatal pathway in or for Canada and Canadians. I put 'we' in italics.. as its 'we' the electorate, and the people we are responsible to and for, including future children and adults yet unborn. Political parties pitch and pimp along vague similar policy dogma.. just as you've described. Never a mention of methane escape, never ever. Leaking wells at varying stages. No longer producing, producing or being drilled. No mention or certitude of sealing or control. Oh its the old 'the industry knows best & can be self inspecting & self regulating. That was the Harper achool of thoughlessness.. You know, government a la Jim Flaherty reporting to Harper what industry wanted after each of his annual 'retreats' at our expense. They want environmental controls trashed.. just like Trump, just like Scheer, just like Trudeau.. and call it 'nation building' - wah wah.. Smaller Government, Guns for All, Its The Economy Stupid.. Its Jobs Jobs Jobs (in Alberta) .. and so the posturing and baloney and sheer deceit proliferates. In my view, Canada's 'Economies' need to become organically reconnected to community and region. Forget all the big box stores, grow gardens, learn to bake. Protect the wild fisheries. Replant trees. Where are the shoemakers? The local cabinet makers? Hell, where are the sawmills? Why can't a local farm provide whole milk or eggs? I don't need a panic attack because Timmy's is lined up. We have to get a lid on, get a grip on.. population and control. China will do whatever, as will India or Africa or Venezuela.. but Canada needs to face reality.. we are in destructive smug way way overload mode. I have one tall son.. my pride and joy. I hope he and his partner enjoy the same rewards I feel.. with one child. Three doors over there are 8 or 9 children.. I can't keep track. Its possible they are actually two households in there, but the christenings keep coming.. That's too many in my view.. but its too late - So how do we engage sensible education and practice? How do we promote effective evolution in Canada? We are still building suburbs with 2 & 3 car garages Mound, on prime farmland.. and the garages are in the front, so you drive in and don't need to see or greet your neighbor.. whew ! How did this go so wrong ? "How did this go so wrong ?" Cheap oil and an almost universal policy of not paying for the externalities. If the external costs (all of the costs) were added to the cost of oil, coal and natural gas people would change their behaviour very quickly. Sal, you ask how do we engage others? That causes me plenty of restless hours. As you know, we're holding a referendum on proportional representation. If it is to succeed it'll be up to our young voters. I know a number of seniors but have yet to meet one that voted for change. I have a neighbour, 81 years old. She goes on endlessly about her three great-grandbabies and those she expects will follow. She came right out and volunteered that she voted against pro-rep. When I asked why she said she didn't understand pro-rep so she felt better staying with the old system. The idea of change made her anxious. She voted for FPTP because change makes her fearful. She made no effort to understand what this vote might have meant to those great grandkids or their young parents. It's a deadly combo - fear and ignorance. The party of Christy Clark and Gordo Campbell count on fear and ignorance. There's a reason why you see such a preponderance of old white people at Trump rallies. They're ignorant enough that they can be easily manipulated with fearmongering. Fear and ignorance propelled the Mango Mussolini into the White House. So much for informed consent, the very keystone of democracy. It's the same story for the calamities I've enumerated in this post. Ocean acidification isn't on the public mind. It never comes up in conversation. Most don't even know what it is or how, once it takes hold, it can be irreversible and lead to mass extinction. When the Liberals have their debate and weigh the results ocean acidification and assorted existential threats won't even be on the scales. Politics works to segregate these threats when, in reality, they're all interwoven and contribute to a powerful synergy. And, for that, we wind up with nihilistic policy.